Software maker was set to go public next week. SAP is due to acquire survey software firm Qualtrics for $8bn, the company has revealed. The German giant confirmed the news in a press release, noting that the deal will be done in cash. 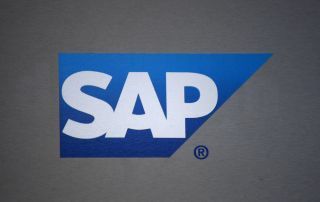 SAP has already secured €7bn for the deal which was approved by both parties. Qualtrics was founded in 2002, and has offices in Provo, Utah and Seattle. Among the 9,000 customers it has are Coca-Cola, BMW, the US Air Force and Walt Disney. Last year it had reported $289.9m in revenue, and an operating income of $3.1m. SAP, on the other hand, is Germany's biggest company by market value. The company, which sells business software, is looking to transform from on-premise services to the cloud. According to SAP's CEO, Qualtrics will allow the company's clients to embed real-time feedback into their strategies. The deal came just as Qualtrics was planning on going public., with the company saying that the acquisition will allow it to scale faster and achieve its mission on a broader stage. “We could not be more excited to join forces with Bill and the SAP team in this once-in-a-generation opportunity to power the experience economy,” Ryan Smith, CEO of Qualtrics, said.